As we work hard to prevent our children from being victims of bullying, we have to take an honest look at School Bullying Statistics And Our Education Choices. For some families it has become a matter of changing school districts, home educating or sending to a private school. For other families the financial difficulties of changing schools are impossible. Combating the effects of bullies in our schools has now become a primary concern. Let’s look at some school bullying statistics to put into perspective what areas need to be changed. While we can’t fix everything. We can however work toward repairing the worst areas. We can also know ahead of time the environment we are putting our children into daily. With over 3.2 million students being a victim of bullying every day it is important for us as parents to understand what we are facing in our schools. Does your school district have higher rates of children with learning disabilities? If your child has a physical or learning disability sending them to a school with other students who have similar needs and issues is a good idea. They will have a larger peer group who will understand their disabilities and be less like to bully them for it. While we want our children to acclimate to society, at certain points in their emotional development it is important for them to be in a loving environment of comfort and understanding. Are you in a low income school district? Sadly low income school districts are much more likely to have instance of bullying. These school bullying statistics are not limited to physical and verbal attacks alone. They also include a higher rate of cyberbullying. Is your child a part of the LGBT community? While we continue to preach tolerance and acceptance this is one part of our community that is continually put into a minority box and treated with disdain. It has been stated that up to 86% of LGBT students will experience bullying within their school before high school graduation. Campaigns to stop bullying in schools have effectively decreased the rate of victims being bullied by up to 25%. If you think there is nothing you can do to prevent or stop bullying from happening, these statistics prove otherwise. In recent surveys it was determined that projects within our schools and communities in an effort to stop bullying are useful. No matter what choices we as parents make, we can help protect our children and put an end to bullying. School bullying statistics and our education choices are important to look at each year. 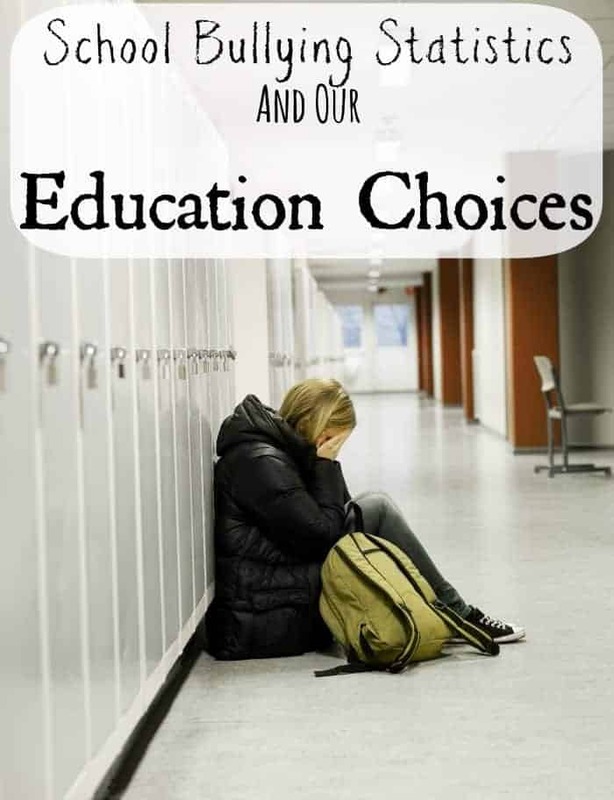 Unfortunately not all of us are financially able to place our children in the school districts we would want, but if we see our child attending school in an environment we feel could harm them, we can easily work to make changes by implementing programs in our district, or simply by being available to our child. Enforcing the theme of love and acceptance in our homes is one great way to smash the school bullying issues we have seen in the past. Are you happy with your education choices in your area? What types of programs do they have to help prevent school bullying? Thank you for bringing Bullying Statistics out in the open…the more discussion in communities the more we can reduce its incidence. My son was bullied from Grade 6 all the way to graduation. To his credit he developed some ways of dealing with it that were effective for him.